Grilled ribs are not very common in Asian culture but that doesn't prevent me from doing my own riff using Asian flavors to grill up some barbecue ribs. 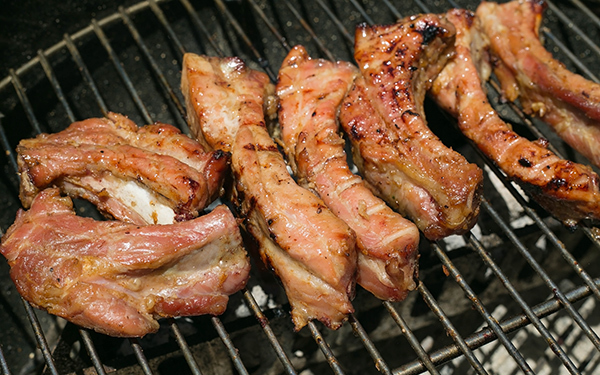 Although I cook and teach how to make American style low-and-slow barbecue pork ribs, when I'm at home, I enjoy grilled ribs that have a bit of chew and pull on them. If you'd like your ribs more falling-of-the-bone tender, you can wrap them in foil and put them in the indirect heat side of your grill until they fall apart. Either way they should be delicious! This recipe is for appetizer portions but you can double up if you're serving this as an entree. 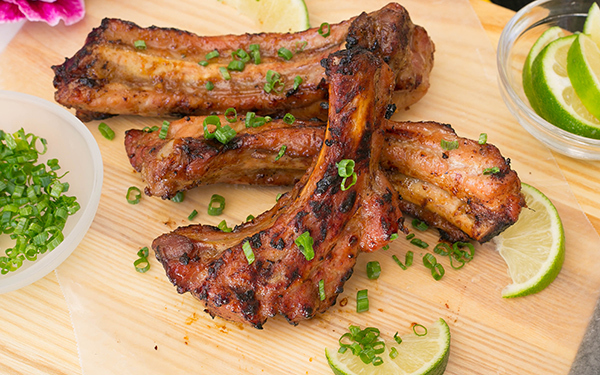 You can pair these ribs with my Asian slaw recipe. 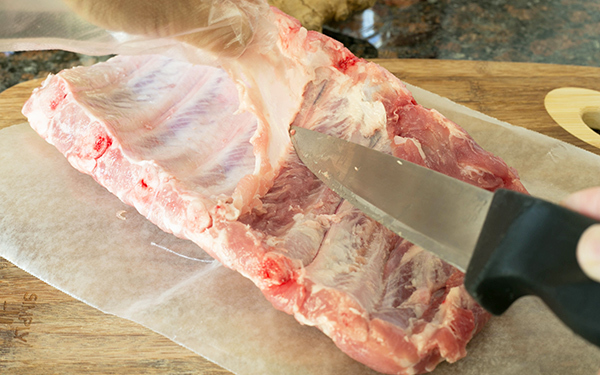 Pull the membrane from back of ribs. Cut ribs into individual bones. 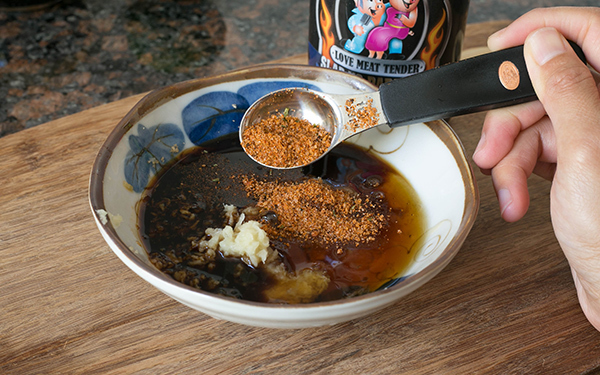 Sprinkle some SYD All Purpose rub on the ribs. 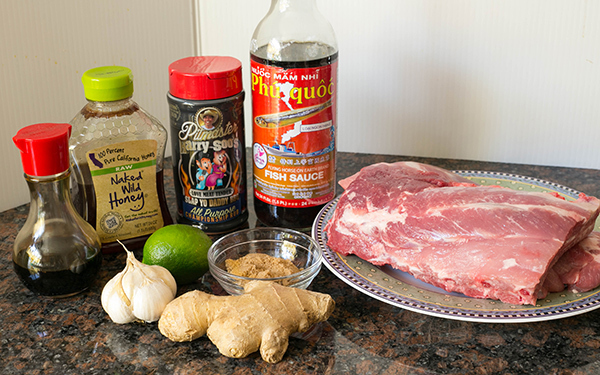 Remove the ribs from bag and brush off excess marinade. Place on the indirect side of your grill and smoke until internal is about 110F (about 20-30 minutes depending on how big your pieces are). Looks great! We love baby back ribs. We’re having ours tomorrow night, getting them prepped right now. This recipe looks a bit time consuming, but I’m printing it as I type so I an try it sometime soon! As a shortcut, I often use store bought minced ginger and minced garlic in a tub from the Asian market. 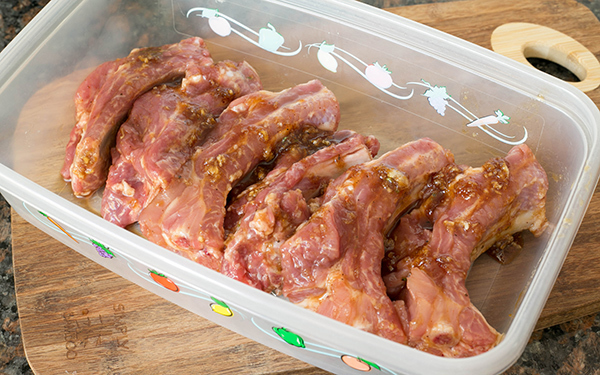 Dump marinade in a gallon Ziploc bag and put in the ribs or country style ribs (sliced pork shoulder w bone) and you’re ready to rock and roll. 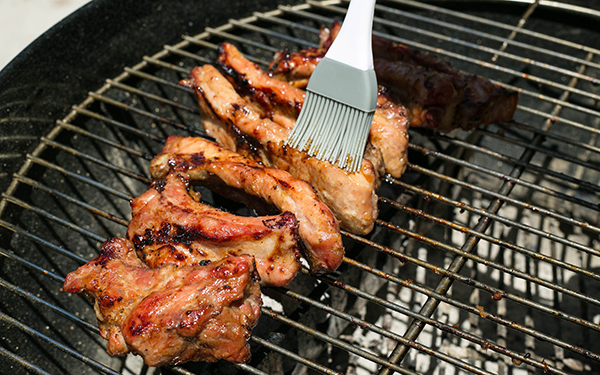 This is also a great tailgate or camping item to bring with you as it’s easy to grill up some ribs and be the hero! Best ribs I ever made!!! Trying again today to see if it was a fluke. Used St. Louis cut ribs and it created the perfect tender bite. Was way easier and shorter time wise than the slow and low I’d been doing. Consistency will be the key. Yes, grilled ribs by the single bone is a great way to enjoy ribs without having to invest 5 hours! There are endless flavor ideas you can try from around the world including India (marsala), South America (chili), Italy, Spain (saffron), Afghan (onion water), Thai (lemon grass), Vietnamese (fish sauce), Japanese (teriyaki), and many more. I made these tonight. They came out looking great and tasted even better. The ginger and lime was a very nice twist. Next time, I might try agave instead of honey. Thanks for the great recipe, I’m sure to be trying some more of yours soon. Glad to hear. Look for more coming soon!